White label is an effective way of reaching customers & increasing sales and ROI. White label is very simple and easy to use. With White label Integration, the website responds instantly with dynamic flight, rental car, hotel and holiday packaging data including rates and availability. Implementing white label technology on your website works as an online travel agency, and white label booking engines will turn your website into complete travel portal. The TravelPD, White label booking engine enables travel partners to choose from one of the largest pool of products in the travel industry including airlines, hotels, hotel deals, holiday packaging and many rental car companies. If you are running a travel agency or you have a DMC and looking for white label integration, then you may rely on white label travel portal development companies. The travel technology organisations work towards the creation of the online travel portal and also on maintaining it. 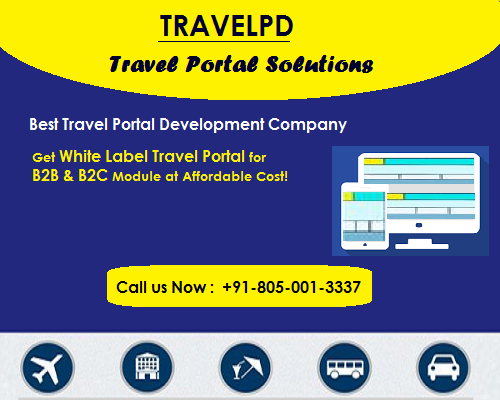 TravelPD is the best travel portal development company in India, which provides the white label solution for flight, hotel, car and holidays packaging, sightseeing etc. With TravelPD, you can avail inventory from the world’s leading suppliers & sell your travel products under your brand on your own travel portal. Take a look at www.travelpd.com, which provides white label travel technology solutions for Travel Agents!